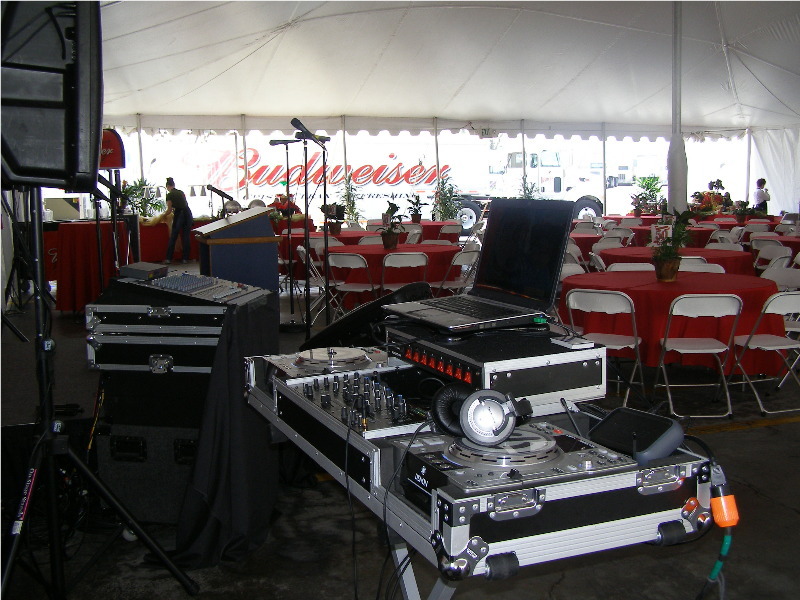 Mindscape Entertainment provides musical entertainment for any event. 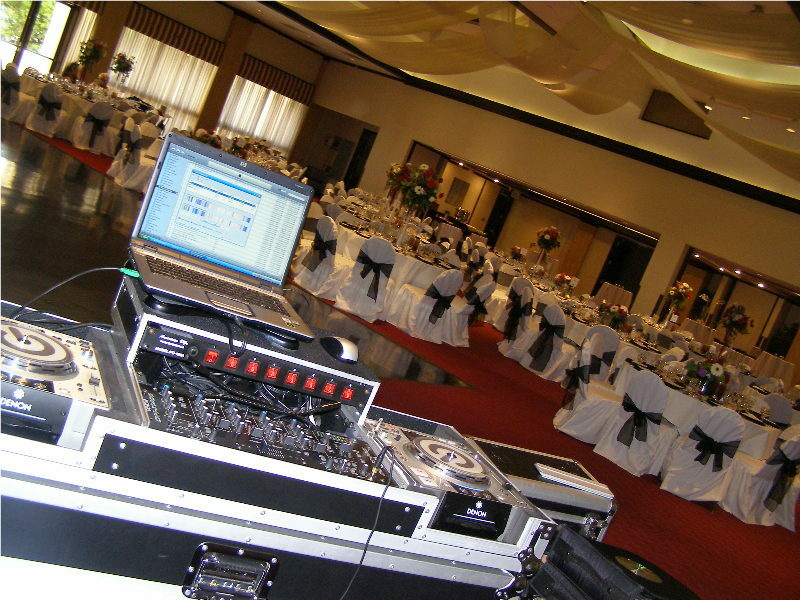 Our service offers a choice of distinctive plans and the convenience of designing sound equipment to fit any room, hall or ballroom. M.E. 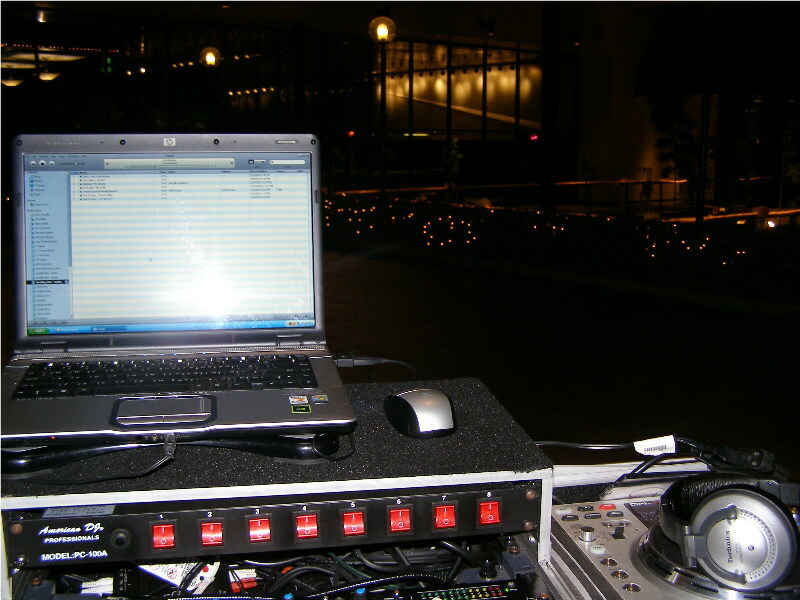 uses only professional sound and lighting equipment for every event. 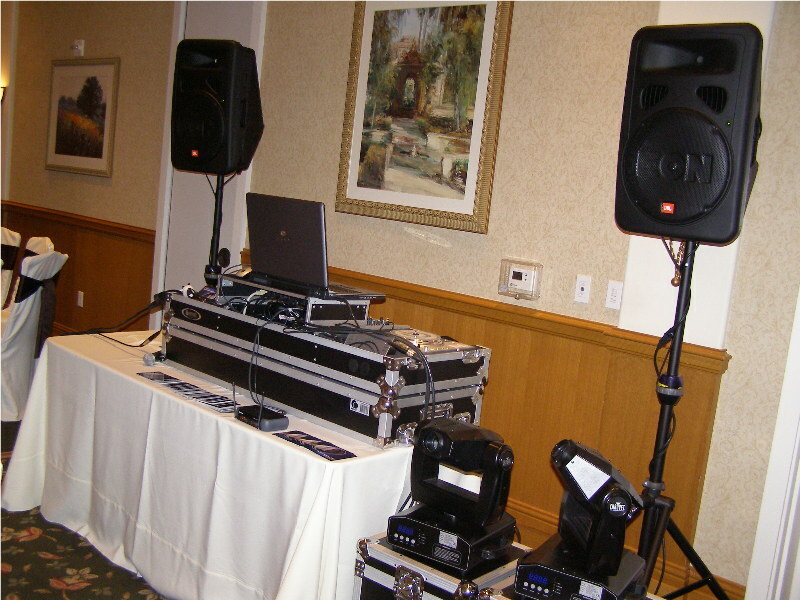 We will never compromise your special day by using sub-standard equipment. 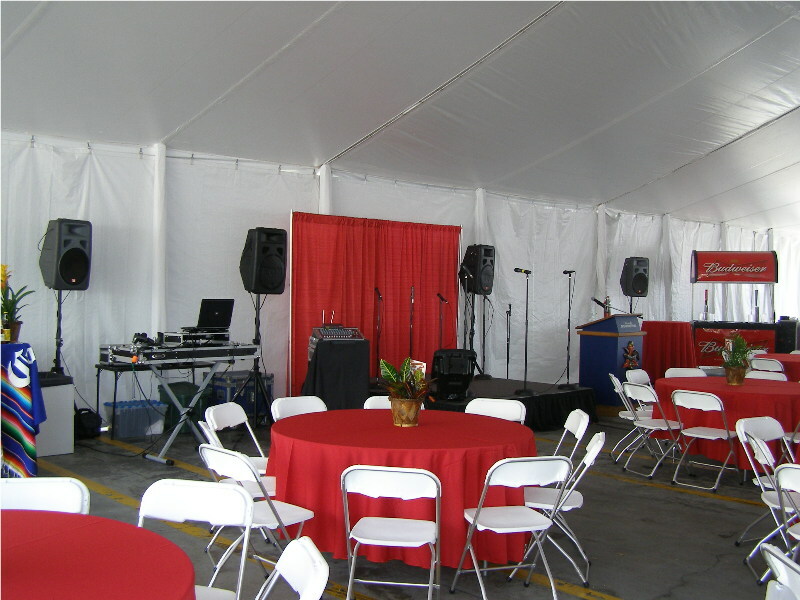 All of our equipment is owned and operated by Mindscape Entertainment and none of our equipment is leased or rented out. Not only is professional equipment important, but the person who operates it makes all the difference in the world. 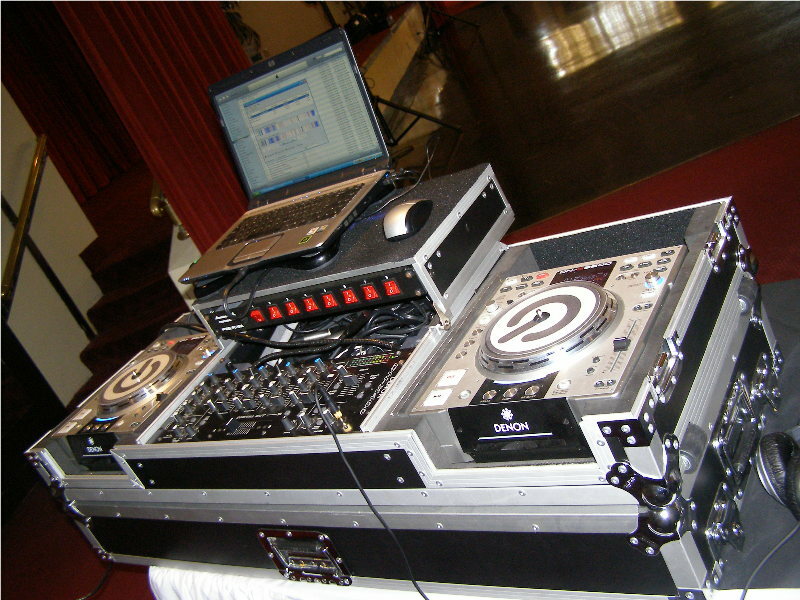 Let’s face it, anybody can go out and buy or rent DJ equipment and call themselves a DJ. 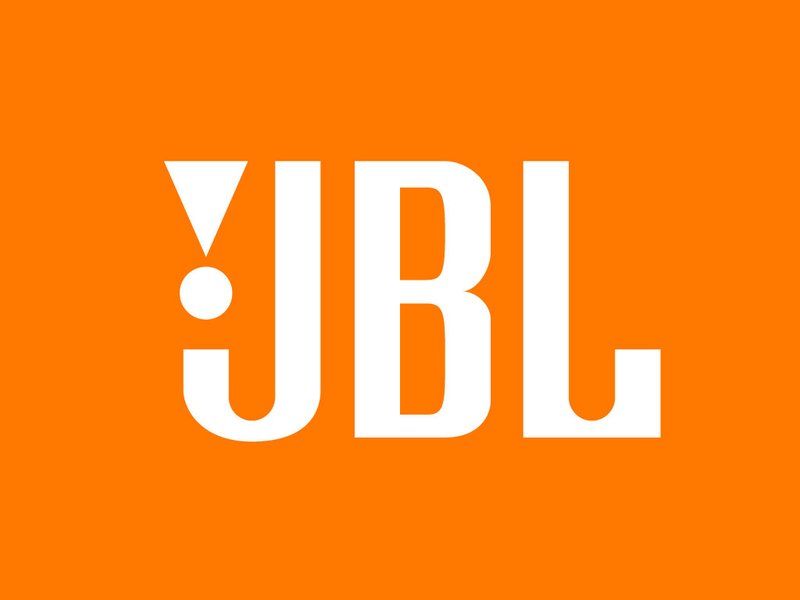 Especially in this era where technology is making it easier for anyone to become a DJ, all one needs is a laptop, special DJ software and a pair of speakers. 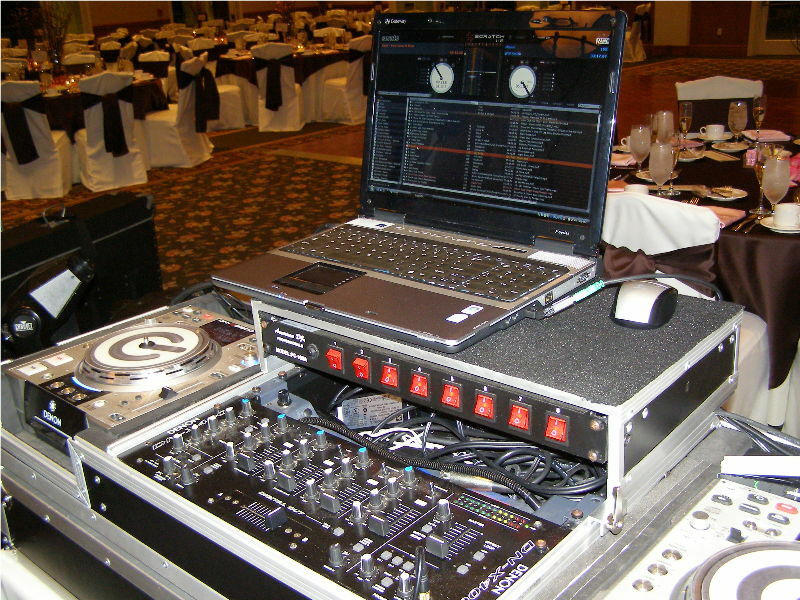 Unfortunately, not many people have the experience, talent and skills to use those tools effectively in a wedding reception entertainment setting. You wouldn’t hire just any builder to build your house because he had the most expensive hammer or hire a photographer for your wedding because he purchased a $7000 camera. Would you??? Below are a few pictures of my equipment set-ups. Listed below are some of the professional products in our inventory.